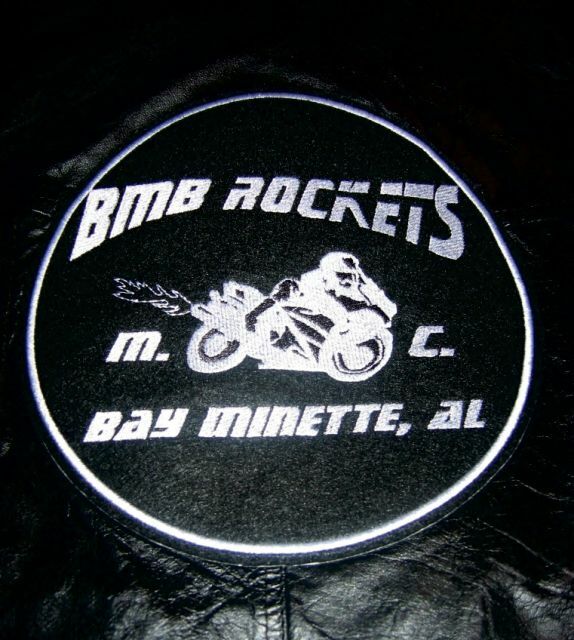 The BMB Rockets MC are a group of men and women who share a love of riding motorcycles. We seek to project and maintain a positive image. We are dedicated to uplifting the communities of Baldwin County as well as support our friends and families of Mobile and adjoining counties in lower Alabama. History: The BMB Motorcycle Club was founded in September but became officially organized on October 12th of 2003. Five men and one woman Marsha MsOnDaGo joined together to start a club based on Respect, Loyalty, Brotherhood and our Love for riding motorcycles. Our Mission: The BMB Crew members are voted in the club based on their maturity, safety, professionalism, and respect for other individuals. We are composed of a wide variety of talented and professional men and women. Each rider must be an upstanding member of their community. We are successful business owners (of which we patronize) as well as military enlisted men. We strive always to maintain a positive image mentally, physically and spiritually. Giving back to the community is the primary goal of the BMB Rockets M. C. We will carry out this mission by doing volunteer work, fundraisers and serving as mentors for the next generation of BMB CREW. These requirements are designed to filter only those who will be truly committed to the BMB Rockets mission. "The type of bike you ride does not define a BMB Rocket. All types of street bikes are welcomed." All potentential members must be totally legal, with a valid license, registration, insurance and abide by the helmet law. All potential members must participate in at least 3 BMB mandatory rides. have license and tag to ride. All potential members must have a working phone and or an email address to receive BMB announcements. All potential members must pay their BMB Rockets dues within a timely manner. Dont have a bike and still want to be part of the BMB Crew? Non-rider or potential bike owners are also tied to our mission. Presidents select Supporters. This position doesn't require probation. Prospects seeking full membership once fulfilling all requirements the candidate is put on probation for a three month period of time. Afterwards is voted in as an official member and entitled to BMB Supporter benefits. If the individual proves to be outstanding or already done hang around time with us probation period may be shorter.